TopRank Online Marketing will have two speakers presenting on two panels at SES Chicago this week. On Tuesday, Senior Account Manager Jolina Pettice (who recently spoke on a panel with Yahoo’s Ron Belanger and Anne Kennedy at DPAC) will be speaking on a session about how to use Public Relations tactics to improve SEO results. On Wednesday I will be speaking on a panel about Blog SEO. Here are the session details. We look forward to seeing you there! Most organizations are focused solely on how SEO impacts marketing and advertising and are failing to take advantage of the unique and very impactful results that are generated when SEO is applied to public relations. Organizations that fail to integrate PR into SEO efforts stand to miss out on a valuable opportunity. This session will provide real-life examples to show how organizations can achieve maximum results for any communications campaign through natural search optimization of press releases. In this session on how to leverage SEO tactics with public relations efforts, TopRank’s Jolina Pettice will present an excerpt of our Journalist’s Use of Search Survey, shed light on the difference between SEO for lead generation vs SEO to attract journalists searching for experts to include in news stories and offer several news content optimization tips. In this session Sally will discuss feed (RSS) optimization, Stephan will undoubtedly cover the optimization of blogs and I will be discussing the top 5 reasons why blogs started with SEO in mind fail, miserably. And 5 ways to succeed. 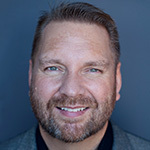 Be sure to check out these sessions while you’re at SES and if you blog either or both of these sesions, please @ or dm me at @leeodden on Twitter. 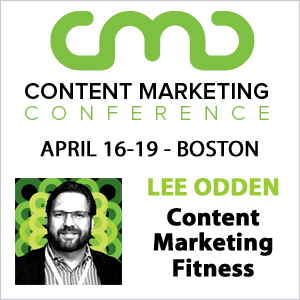 I will be absolutely certain to mention your coverage on Twitter and in our conference roundup here at Online Marketing Blog.